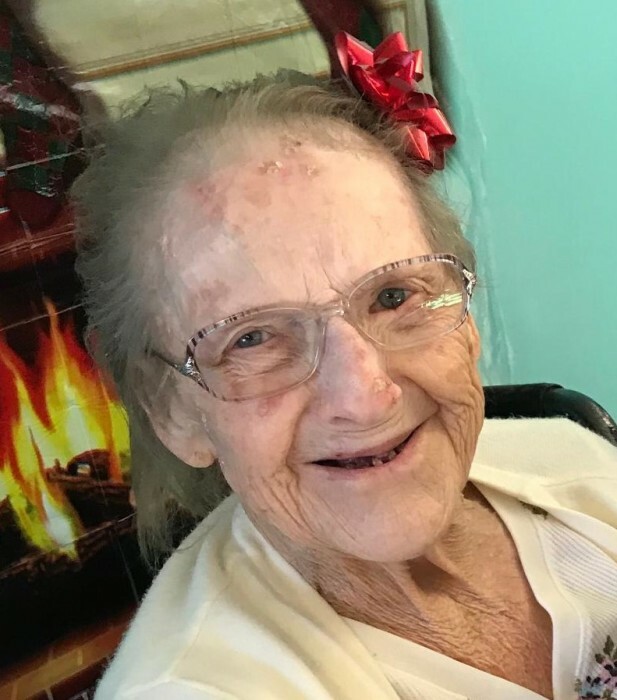 Martha F. Howell, 83, passed away April 10, 2019 at Oakwood Health Campus in Tell City, Indiana. Born February 11, 1936 in Perry County, Indiana, she was the daughter of Noah and Diana (Howell) Cronin. She married Paul E. Howell on July 13, 1957. She was a member of Lilly Dale Church and enjoyed spending time with her family. Surviving are her children, Velma Mann, Paul L. Howell (Paula) and Ramona Howell; sister-in-law, Ruth Cronin, all of Tell City; 6 grandchildren, Clint Mann (Casey), Sarah Mann, Dustin VanHoosier (Becca), Adam Faulkenberg, David Howell, Bob Howell (Heather); Jeremy Hockenberry, who she raised like a son; 16 great grandchildren; and 1 great, great-grandchild. Preceding her in death are her parents; her husband, Paul; her children, David A. Howell and Diana Bushrod; siblings, Lorene Guillaume, Marion Cronin, and Vincent Cronin; 2 granddaughters, Tia Pfoff and Jamie Hockenberry; and one great-grandson, Cody Obenchain. Funeral services will be held at 11 am Saturday, April 13 at Zoercher-Gillick Funeral Home with burial in the Lilly Dale Cemetery. Bro. Ron Ammon will officiate. Visitation will be from 3 – 8 pm Friday, April 12 and from 9 – 11 am Saturday at the funeral home.